Boat Show is almost here. 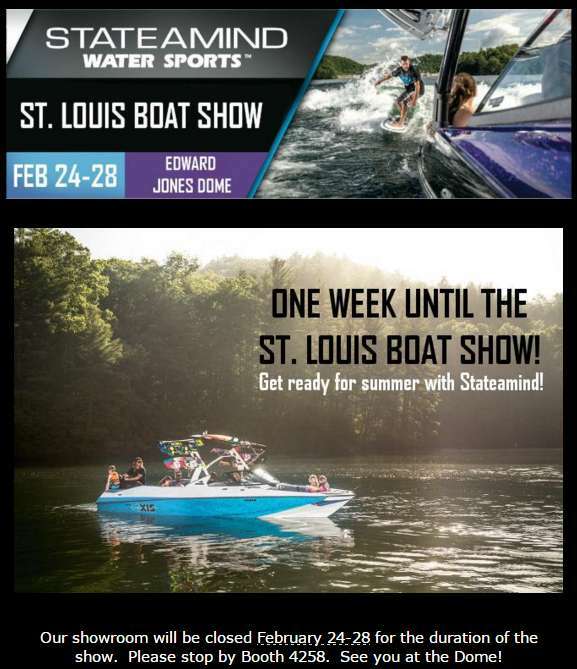 Yes that is right the boat show is almost here and Summer is Just around the corner. Stop by the Stateamind Booth and see whats New for 2016. Call Stateamind for more information. 314-731-3795, For direction and Show times Click Here. See you at the Show.